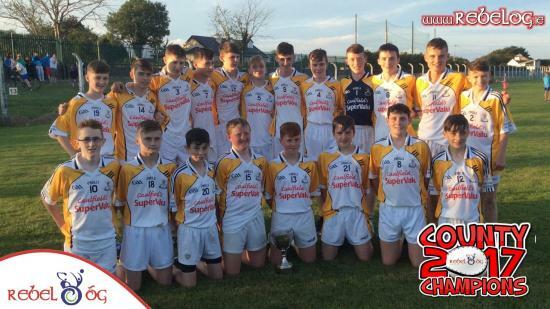 The county U15A football final between Bandon and Wolfe Tones will be played on Wednesday next 16th August at 8pm in Macroom. 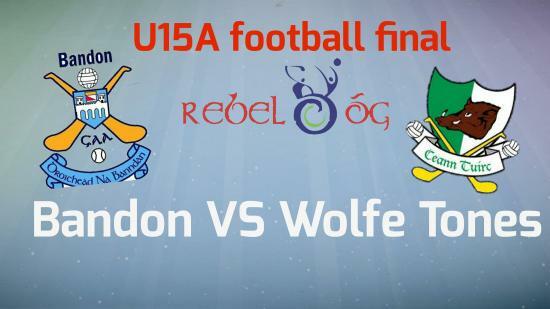 Wolfe Tones had some fine wins on their way to this final and will provide stern opposition for a Bandon aiming to complete the U15A double, having already defeated Youghal in the hurling decider. 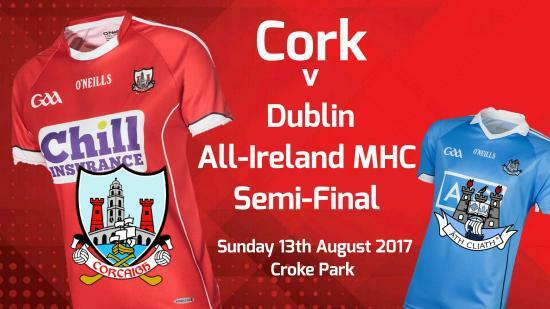 The Cork Minor Hurling team to play Dublin in the All-Ireland Minor Hurling Championship Semi-Final next Sunday 13th August in Croke Park @ 1.30pm has been announced as follows.1. Ger Collins - Ballinhassig2. Conor O' Callaghan - Dromtarriffe3. Sean O' Leary Hayes - Midleton - (Captain)4. Eoin Roche - Bride Rovers5. Aaron Walsh Barry - Carrigtwohill 6. James Keating - Kildorrery - (Vice Captain)7. Ger Millerick - Fr. O Neill's8. Daire Connery - Na Piarsaigh9. 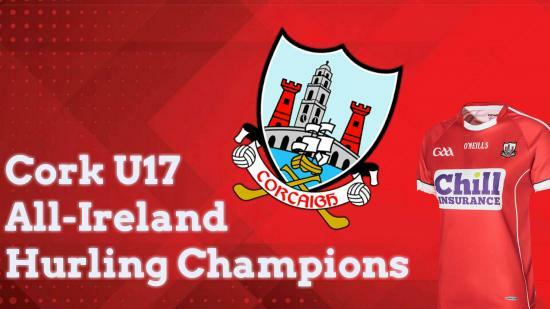 Diarmuid Linehan -..
Congratulations to the Cork U17 team who defeated Dublin by two points today in the All-Ireland U17 hurling final at Croke Park.CORK 1-19 DUBLIN 1-17By Jackie Cahill at Croke ParkCORK were crowned inaugural All-Ireland U17 hurling champions at Croke Park this afternoonThe Rebels held out for a two-point victory against a Dublin side reduced to 14 players in the second half, when midfielder Tom Aherne was dismissed in the 42nd minute for a second bookable offence.Fintan Clandillon’s Sky Blu..
ALL-IRELAND U17 HURLING COMPETITION FINAL CORK V DUBLIN Cork will play Dublin in the All-Ireland Final of the U17 Hurling Competition on Sunday 6th August in Croke Park @ 12.00 as a part of a treble header with the senior and minor All-Ireland Hurling Cork U17 hurlers to take on Dublin in the 2017 All-Ireland final has been named. 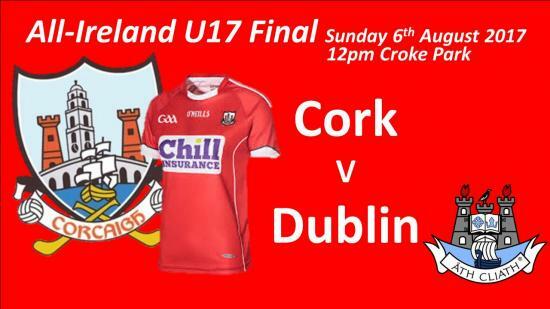 The team will play Sundays final in Croke Park with a 12 pm start. 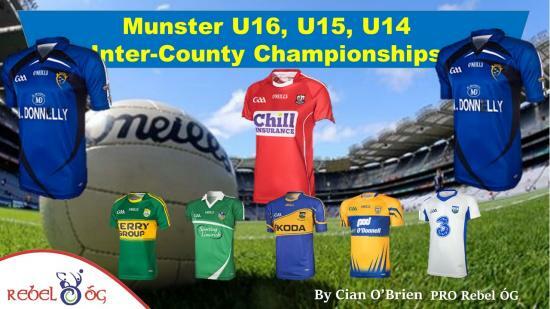 Below are details of their path to the final /p>All-Ireland U17 ..
Rebel Og East Minor Hurling championship is now heading for the Semi-finals within the regional stages of the championship. Teams will be battling it out over the next number of weeks for the all important place in the final. 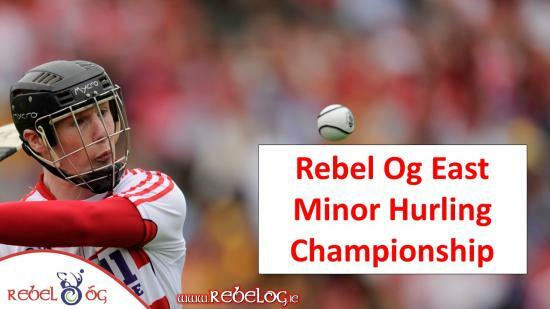 Minor A Hurling Championship Quarter FinalErins Own v St CatherinesLisgooldThursday 17th August 2017 at 6.45pmSemi FinalSt Colmans v CobhBallinacurraWednesday 9th August 2017 at 7pm Minor B1 Hurling Championship Semi FinalsSt Vincents v LisgooldCah..
Bandon claim Rebel Og U15 A County Title on Wendesday night following their win over Youghal. Played in a sunny Mayfield, both teams had some highs and lows as they battled it out for the all important scores. However, the game belonged to Bandon who were stronger that Youghal and won key battles as they raised the green flag on three occasions. Youghal never gave up as they scored two goals but they couldn't hold back the hard work of the West Cork side. 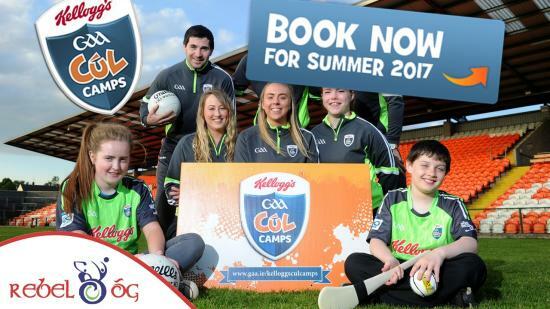 Final sco..
A reminder to all that the bookings for the 2017 Kelloggs Cul Camps are upon us. This year there are over 100 camps taking place across Cork, with some clubs hosting two camps!!! You can book camps by clicking the following link http://rebelog.ie/content_page/10020433/ Cost for the camps this year is €60 for first child, €50 for second child from same family and €40 for all additional children from same family. 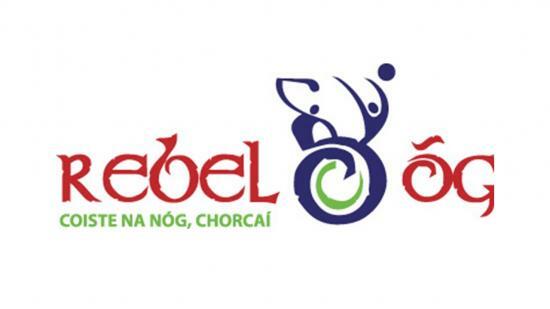 Kellogg's GAA Cúl Camps provide boys and gir..
For updates on how Rebel Og teams are getting on in Munster U14, U15 and U16 competition click here to view our blogBig weekend for Rebel Og Football teams as they enter 2017 Football championships.On Saturday Rebel Og squads at U16, U15 and U15 will take part in the Munster inter-county competitions, Munster U16 Football Tournament 2017 will take place in Limerick, the U15 event will be hosted by Cork as the Humprey Kelleher Tournament is the headline competition and finally Waterford will host..
Over the past three weeks, the County Section of Rebel Og U15 Hurling Championship has been taken place. 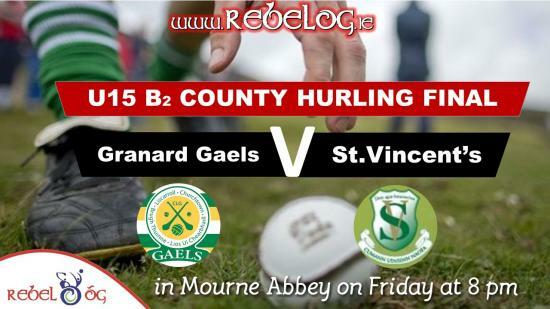 Teams from A, B1 and B2 that don’t play in Rebel Og Central have been battling it out for a place in the finals.The competition has seen some excellent games, with all the teams battling it out for a unique chance at County title at this grade, for clubs in East, West and North, they would normally be required to play in their regional competition and win the championship before they wo..